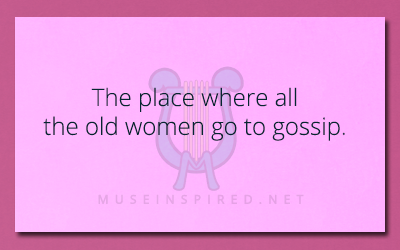 Siring Settings – The place where all the old women go to gossip. Describe the Setting - A closet that is so much larger than it initially appeared. Siring Settings - The small chapel in a tiny forgotten village. Siring Settings - The bathroom with the most unusual toilet anyone has ever seen.